In the winter of 1664-65, a bitter cold descended on London in the days before Christmas. Above the city, an unusually bright comet traced an arc in the sky, exciting much comment and portending "horrible windes and tempests." And in the remote, squalid precinct of St. Giles-in-the-Fields outside the city wall, Goodwoman Phillips was pronounced dead of the plague. Her house was locked up and the phrase "Lord Have Mercy On Us" was painted on the door in red. By the following Christmas, the pathogen that had felled Goodwoman Phillips would go on to kill nearly 100,000 people living in and around London--almost a third of those who did not flee. This epidemic had a devastating effect on the city's economy and social fabric, as well as on those who lived through it. Yet somehow the city continued to function and the activities of daily life went on. In "The Great Plague," historian A. Lloyd Moote and microbiologist Dorothy C. Moote provide an engrossing and deeply informed account of this cataclysmic plague year. At once sweeping and intimate, their narrative takes readers from the palaces of the city's wealthiest citizens to the slums that housed the vast majority of London's inhabitants to the surrounding countryside with those who fled. The Mootes reveal that, even at the height of the plague, the city did not descend into chaos. Doctors, apothecaries, surgeons, and clergy remained in the city to care for the sick; parish and city officials confronted the crisis with all the legal tools at their disposal; and commerce continued even as businesses shut down. 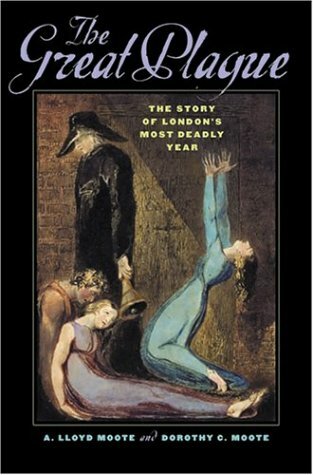 To portray life and death in and around London, the authors focus on the experiences of nine individuals--among them an apothecary serving a poor suburb, the rector of the city's wealthiest parish, a successful silk merchant who was also a city alderman, a country gentleman, and famous diarist Samuel Pepys. Through letters and diaries, the Mootes offer fresh interpretations of key issues in the history of the Great Plague: how different communities understood and experienced the disease; how medical, religious, and government bodies reacted; how well the social order held together; the economic and moral dilemmas people faced when debating whether to flee the city; and the nature of the material, social, and spiritual resources sustaining those who remained. Underscoring the human dimensions of the epidemic, Lloyd and Dorothy Moote dramatically recast the history of the Great Plague and offer a masterful portrait of a city and its inhabitants besieged by--and defiantly resisting--unimaginable horror.